Updated 21 June 2018: Mixtroz won $100K prize from Rise of the Rest after joining B'ham's Velocity accelerator at Innovation Depot. 17 Nov 2017: Mixtroz won the top prize in Copenhagen in the Invio Solution competition for best experience technology. The Invio Challenge is one of several during the annual Cup event. Our original 9/14/2017 story follows.-Ed. FRANKLIN-based eleven9 LLC's Mixtroz app, which is designed to add value to interpersonal networking in group settings, is to be pitched tomorrow during an event that serves as semi-finals for the Creative Business Cup, an international competition. Tomorrow's event in Albuquerque, N.M., is hosted by the nonprofit Creative Startups accelerator. If the Mixtroz team wins tomorrow, the startup app will move to the Cup's global finals in Copenhagen, in November. Within 30 days, eleven9's founders are also scheduled for the Powderkeg Pitch Night in Indianapolis and will pitch in Las Vegas during the IMEX America confab backed by Meeting Professionals International (MPI). 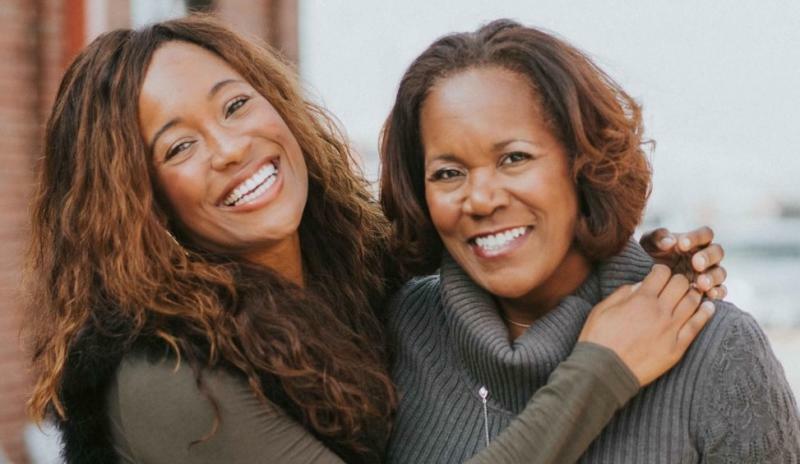 In a series of recent interviews, eleven9 Co-founder and CEO Kerry Schrader confirmed that she and Co-founder and COO Ashley Ammons, who is her 29-year-old daughter, are also in discussions with potential investors in a capital raise of "at least $600K." Their raise will focus mainly on Angels and other high net-worth individuals, rather than on VCs, Schrader said, adding that she expects key discussions to advance significantly in October. 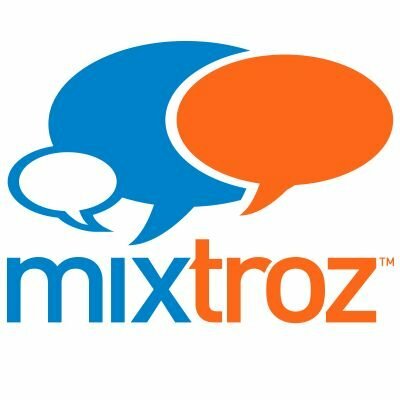 Founders, friends and family have provided about $225K in funding for Mixtroz. Thus far, all outside investment has been in the form of convertible debt, thus all equity is currently in the hands of the co-founders. The company's cap table has about 35 entries. Proceeds from the impending raise should provide 12 to 15 months of runway and would be used for additional staffing of technology, sales and marketing functions, said Schrader. Decisions regarding still-further capital raises are being held in abeyance, given that the current round may be adequate for organic growth and the owners are "adamant about not over-raising," said Schrader. With its near-term runway funded, the company should be able to transition from contracting with customers in a manner similar to that of an event caterer, toward operating as a rapidly scaling, largely self-service SaaS business, the co-founders explained. Schrader expressed confidence in securing investment during the balance of 2017, though she acknowledged with wry humor that it's harder to get a hearing in Nashville "if you do't do open-heart surgery or you don't play a guitar." Ammons said that Mixtroz has a much more narrowly defined niche than those companies, emphasizing live-only engagement. Asked about exit scenarios, Schrader said that while no options have yet been ruled-out, the company's focus now is on SaaS implementation, marketing and promotion for growth. She acknowledged that a strategic sale is logical, and noted that at some point the company could well attract interest from heavy-hitters LinkedIn or Eventbrite, among others. The CEO said the company has deployed Mixtroz at about 50 events, including 20 for paying customers in three verticals: conferences and conventions; business enterprise (with the Human Resources function typically a priority); and, colleges and universities. Mixtroz is downloaded by event registrants who may only access others' profiles and participate in app-curated introductions after they have generated their personal nametag, provided a day-of selfie and some other identifying information, and answered a set of 10 questions chosen by the event organizer or the sponsor underwriting Mixtroz's deployment. Mixtroz generates a varying number of introductions for each user who is on-site for the event. Matched attendees are guided toward each other by the Mixtroz app. The matches for a given event can be weighted for similar or contrasting personal information, or for randomization. The two entrepreneurs readily acknowledge they have challenges ahead, but both Schrader and Ammons assert they are each strong, persistent women and they see each other as having complementary traits. Schrader, they said, brings decades more pure experience and is more of a "macro" thinker, while Ammons is more "micro" and inevitably brings a "Millennial" perspective. They agreed they are both "Type A" to varying degrees. Elaborating on the matter of personal strength, Schrader also made clear that, when it seems appropriate, she works to ensure that business associates and others understand that although she is married to a successful retired executive and is an African-American, she is in fact building eleven9 at her own risk and is naturally looking for access to business opportunities, rather than for concessionary investment or contracting criteria. She explained that in business settings she and her daughter invariably explain their entrepreneurial roles and objectives "very clearly" upfront, in order to avert stereotyping by some they have encountered who seem to assume "we are African billionaires," or the occasional errant conferee who mistakes them for service staff. Notably, prior to starting eleven9, Schrader spent more than 20 years in Human Resources and Labor Relations roles with Noranda Alumninum, Alcoa, Osram Sylvania, Sears and Ford Motor Company. She joined then-Apollo Management-owned Noranda in 2009, serving through that company's 2010 IPO and its subsequent financial troubles. Her LinkedIn is here. She resigned from Noranda in 2013, declaring a sabbatical while her last high-schooler completed that passage, fully intending to return to the corporate track. Her fork in the road was "Mixtroz," the name of which is a dba for eleven9. The brand is derived from the words "mixer" and "introductions." Asked about the origins of "eleven9", Schrader recalled that on the same day -- November 9, 2014 -- both Schrader in Nashville and Ammons, then working in New York City, separately endured frustrating networking experiences at events in their respective cities. Ammons' nearly seven years in the Big Apple were concentrated almost entirely on executive and yeoman roles in the live-events industry, a path that began with a paid internship she landed while still an undergraduate at Baldwin Wallace College in Berea, Ohio. That internship became a job with Ohio-based LMLR Marketing, a company controlled by Lebron James, the NBA postseason scoring leader and endorser still most known for his continuing career with the Cleveland Cavaliers. Ammons' LinkedIn is here. When their melded family gathered in December for the holiday season in 2015, the two women discussed their networking experiences, and soon began exploring remedies that led to establishment of eleven9 and its Mixtroz app. In January 2015, they attended the giant CES consumer-electronics show in Las Vegas and then began development of their prototype app -- which is now in v2.0 for both iOS and Android. In Fall 2015, they exhibited Mixtroz during a TechCrunch Disrupt event in San Francisco. In early 2016, a series of business referrals led Schrader to participate in Chattanooga's GigTank365 entrepreneurship program, after which, as Schrader said she had hoped would happen, Mixtroz began to attract increased interest. Schrader said that during late-2015, early 2016 she throttled-down her efforts to deal with discovery of very early-stage breast cancer, surgery and radiation therapy. She told Venture Nashville she emerged both well and determined not only to resume pursuit of her business, but also to be an advocate for self-care and early detection of the disease. Tech advisors Bill Rose and Les Walker of Appnexio in the Sacramento area will assist eleven9 in scouting for tech talent, Schrader said. eleven9's other formal advisors include Nashville attorney Jimmie Strong with Baker Donelson, and Sylvia Johnson Tax Service, among others. The company's banking relationships are under review, said Schrader. The CEO said she often receives valuable informal encouragement from such friends as Lee Molette II, owner of Nashville-based Molette Investment Services. Schrader is active at the Nashville Entrepreneur Center and in Nashville's Black in Tech Nashville. She was also recently named chair of the Diversity Committee of the Nashville Technology Council's board of directors, on which she also serves as a member of the executive committee. Schrader is originally from Cleveland, Ohio. At Kent State University, she earned a master's in business and international business, and a bachelor's in business.